This week we are excited to be launching the Ramp Up Resilience project in partnership with Make A Change Australia. 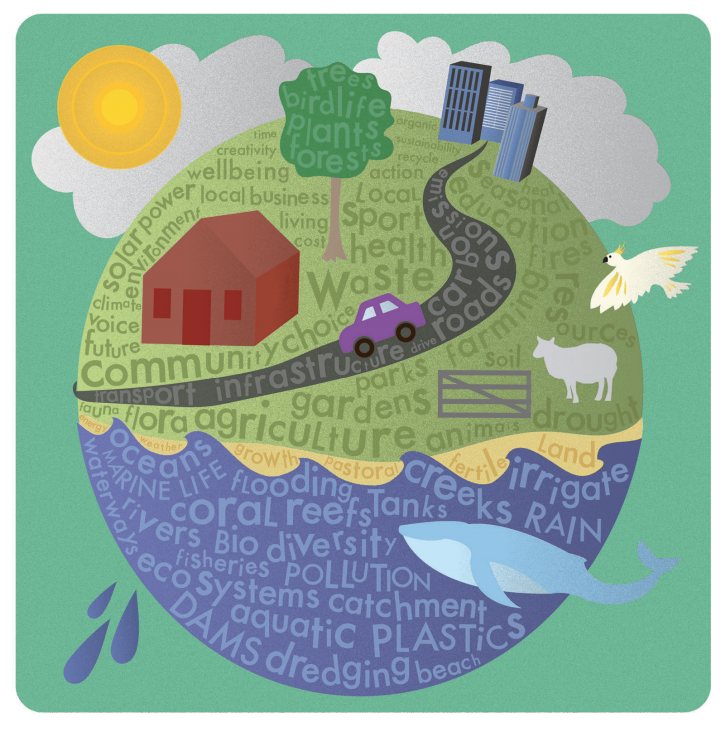 Ramp Up Resilience is a unique climate change community engagement program focussing on the Loddon Shire, the Campaspe Shire and the City of Greater Bendigo. It aims to generate discussion and effective action for individuals, businesses and towns, as relevant to them. It also aims to address the lack of knowledge, mis-information and even apathy that exists around the issue of climate change, particularly in rural areas. Government agencies don’t have the resources to single-handedly address the challenges faced due to the changes in our climate. Communities play a critical role, and whilst there are many people already working on local solutions, more people need to be involved, more collaboration is required, and more support for those taking action is needed. The project is also partnering with the Lord Mayors Charitable Foundation, Loddon & Campaspe Shires and the City of Greater Bendigo Council, the North Central Catchment Management Authority, Coliban Water, and the Bendigo Sustainability Group. Congratulations to all the team and project partners in the Hepburn Shire for the successful launch of the Z-NET Community Transition Plan on Thursday. One year ago, Hepburn Shire was successful in being selected to be the Z-NET pilot for Victoria under the Sustainability Victoria Take2 Community Transitions Pilot Program. In particular, because of its demonstrated track record in community energy with the Hepburn Wind project and the strong support shown by the Hepburn Shire Council, local community and business to pursue 100% renewable energy. This project was a strategic initiative of the Coalition for Community Energy with Renew and Little Sketches leading it, with help from many other collaborating groups and individuals including Starfish Initiatives, the CVGA and UNSW. The CVGA has helped to deliver on the ground actions through the Hepburn Solar Bulk Buy and also the Solar Savers program. 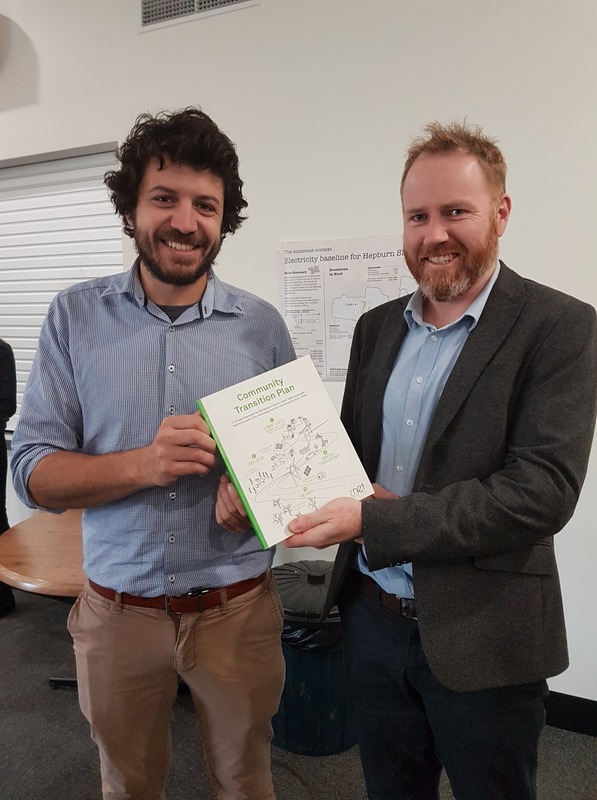 The Community Transition Pilot was funded by Sustainability Victoria, Hepburn Shire Council, Hepburn Wind, Samsø Energy Academy (Denmark) and Diversicon Environmental Foundation. The project provides an excellent example to other regional communities in how to build community greenhouse gas emissions literacy and provide a strong blueprint towards zero net emissions by 2030. Congratulations to Dominic Murphy, Hepburn Shire Council's Sustainability Officer and a member of our CVGA working group, and Taryn Lane from Hepburn Wind who have committed so much to this project and seen it through. Environmental Upgrade Agreements (EUA) are an innovative financing option that Victorian councils can offer to local businesses. An EUA is an agreement in which a financial institution advances funds to a commercial or agricultural property owner to undertake upgrade works which improve the business’ environmental performance. These funds are then repaid through the property owner’s Council rates. It is fair to say that Mildura has been one of the leading councils in offering EUAs. Council signed its first EUA in April last year, with the most recent agreement – a 53.9kW project at Englefield Winegrape Services - illustrating the benefits it can offer the farming sector. The Loddon Mallee Regional Renewable Energy Roadmap is well underway. The project team based at the CVGA, James Depasquale and Adam Zaborszczyk, have begun engaging stakeholders across the region and will soon embark on broader community engagement. The project aims to understand the current state of renewable energy in the region, the opportunities and barriers and an understanding of the community vision for the region. To support the work of the Roadmap, a New Energy Taskforce for the region has been established, comprised of representatives from local and state government, community groups, and industry. The CVGA are helping communities access solar through two programs; the MASH Community Solar Bulk Buy (also the Hepburn Solar Bulk Buy), and the Solar Savers program. 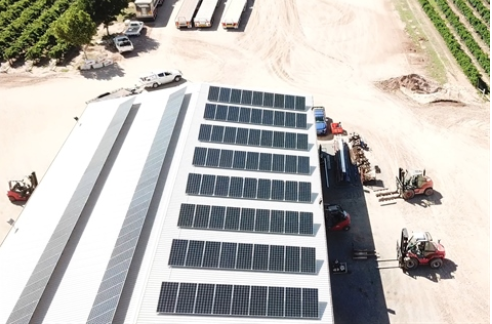 Over the past couple of months the MASH program has experienced a significant challenge with the exit of its chosen solar retailer partner, Energy Matters, from the Australian market. This has created a range of issues that the MASH team have been busy trying to resolve with affected customers. The program is now back up and running again and has appointed two new suppliers; Skygreen and Macedon Ranges Solar Power. On a positive note, the MASH program will soon be announcing the recipients of a new community bonus. The MASH model is a social enterprise that donates free solar to not for profit community groups. In the past these recipients include Windarring Disability Services, Newstead Community Services and 6 other organisations. We look forward to announcing the new rounds shortly. Also for the past 3 years, the CVGA has been working with the other greenhouse alliances across the state to deliver the Solar Savers program, a residential solar program targeting low income pensioner households. This has been a great program that has enabled low income pensioners to access solar PV systems at no upfront cost, and payback through either their council rates or through a low interest loan with Bank Australia. Nine of the CVGA councils have participated, with Hepburn Shire leading the way with another $220,000 worth of solar committed through the program. Thanks for taking the time to read our newsletter. Copyright © 2018 CVGA Inc.